From my understanding of Modernism thus far, I have recognized a pivotal movement of Modernist ideals rooted in the theoretical transitions of the most influential Architect of the twentieth century: Le Corbusier. Initially Corb sought after, in response to the devastation of the World Wars, efficiency in the production of a machine for living similar to the success of the perfected machine for transportation. 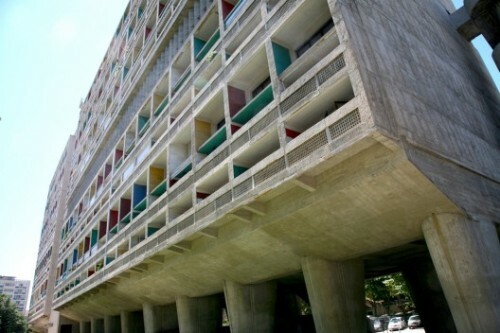 With the structural revolution of the DOM-INO system achieving free-plan and free-façade and the clear-cut ideals set forth in his “5 points of architecture”, Le Corbusier made some considerable progress. However, his experiences with Unite d’Habitation had forced him to come to a realization that industrial technologies and building methods were not sophisticated enough to achieve the precision and accuracy required for prefabrication and mass production of his highly sought after plug-in units. Furthermore, French culture was not harmonious with commercial streets raised of the ground plane in jutted into the middle of a building. Here, Le Corbusier became disillusioned with building efficiency and the integration of industrialization for mass production of living machines. 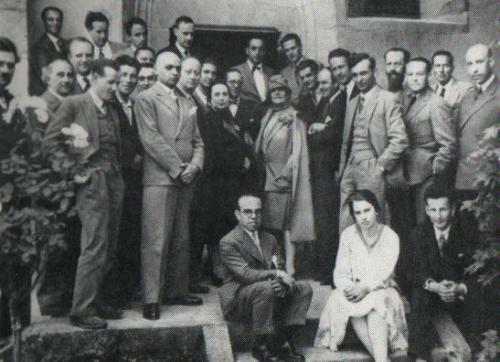 His proposals to CIAM in “La Sarraz Declaration” were forgotten and a pivotal moment in modernism thinking was marked.